Join NOW and pay no dues until Fall 2019! 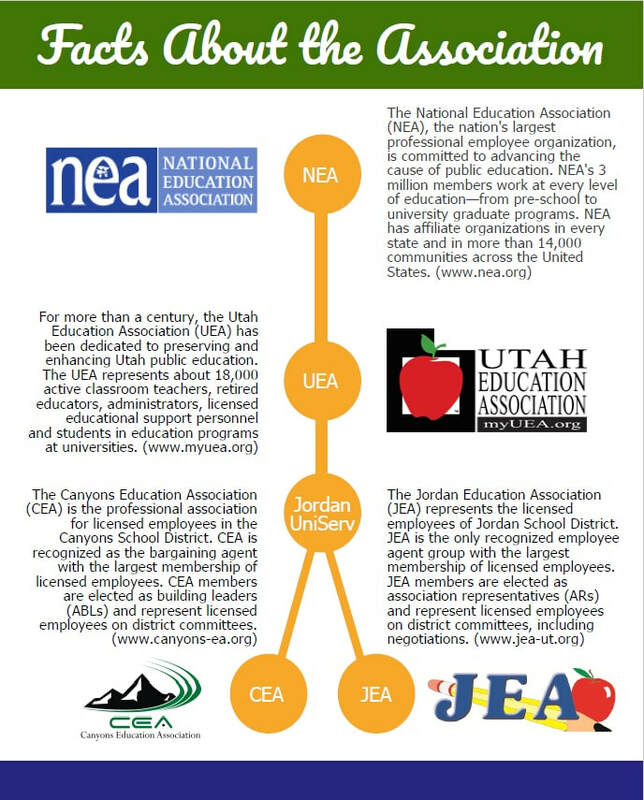 Early Enrollment is an opportunity for you to join your professional organization, the Canyons Education Association, for free until Fall of 2019. 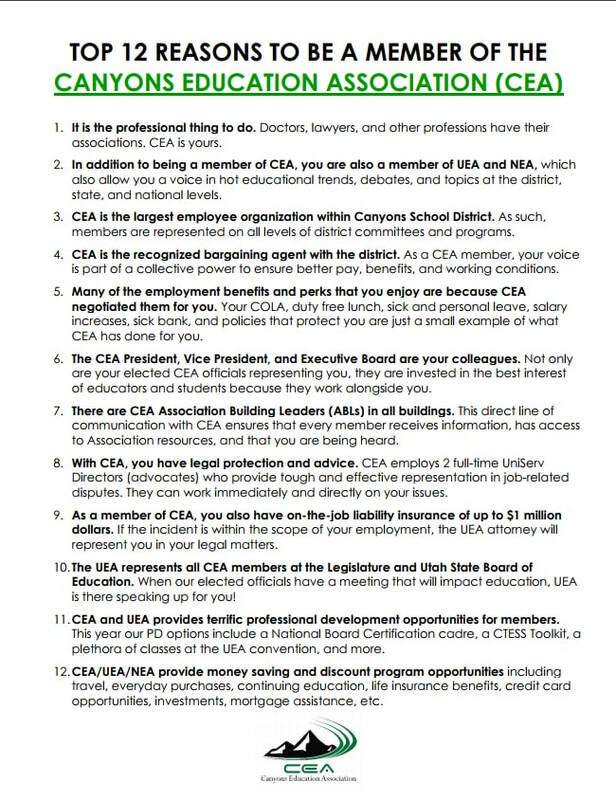 You will receive access to most member benefits including ratifying the negotiations package, discounts on goods and services, and limited access to legal assistance until you become a full member on September 1. Join by completing the Early Enrollment Membership Form below, or ask your building AR for more information. Click on the enrollment form to download. 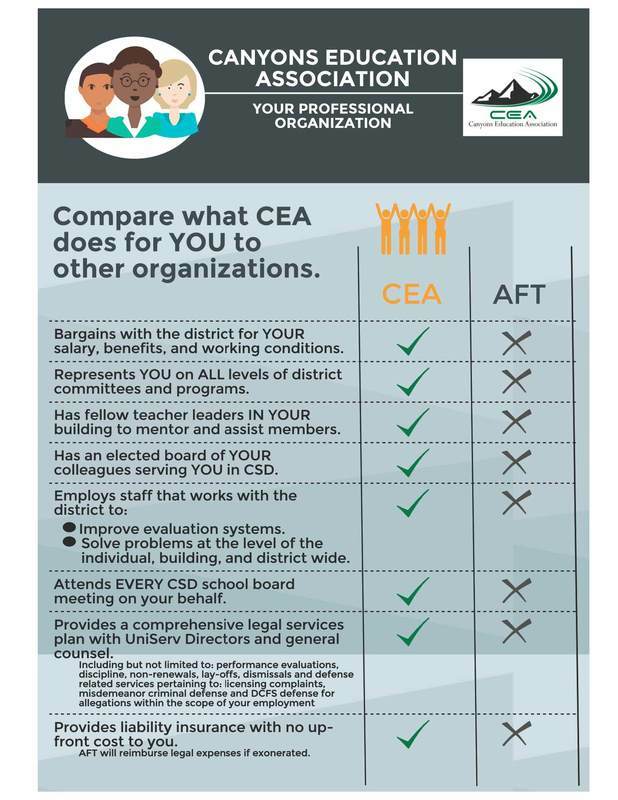 Forms can be returned to CEA via District Mail or handed to your Association Building Leader (ABL). 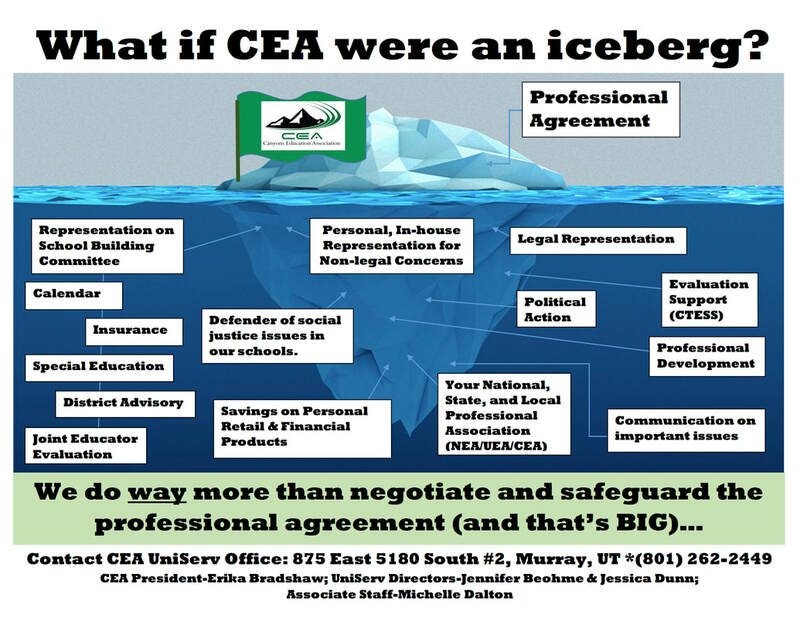 Local action, information, legal assistance, liability insurance, representation, professional development, lobbying, networking, public relations and discounts are all reasons to be a member of CEA.